Won't you dance for us now? Won't you give us a show? Yes, they will! The new hit production of Once On This Island, currently playing at Broadway's Circle in the Square Theatre, will launch a North American tour during the fall of 2019. The touring production of the critically-acclaimed revival will play Los Angeles' Ahmanson Theatre, with additional cities and casting to be announced at a later date. Once On This Island is written by the Tony-winning team of Lynn Ahrens (book and lyrics) and Stephen Flaherty (music), and is based on the novel My Love, My Love by Rosa Guy. Directed by Tony nominee Michael Arden and choreographed by Camille A. Brown, the new Broadway production opened on December 3 to rave reviews and was named Broadway.com's Best Show of 2017. Once On This Island is the tale of Ti Moune, a fearless peasant girl who falls in love with a wealthy boy from the other side of the island. When their divided cultures keep them apart, Ti Moune is guided by the powerful island gods, Erzulie, Asaka, Papa Ge, and Agwe, on a remarkable quest to reunite with the man who has captured her heart. Bursting with Caribbean colors, rhythms and dance, the story comes to vibrant life in a striking production that transforms the reality of a tropical village devastated by a storm into a fantastical world alive with hope. 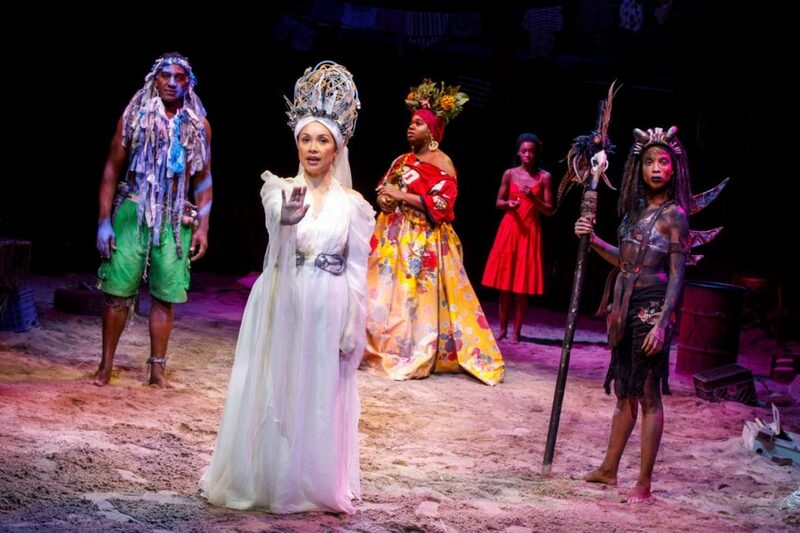 The current Broadway cast of Once On This Island features Broadway.com vlogger Hailey Kilgore, Isaac Powell, Tony winner Lea Salonga, Tony nominee Phillip Boykin, Tony nominee Norm Lewis, Tamyra Gray, Alex Newell, Alysha Deslorieux, David Jennings, Kenita R. Miller, Darlesia Cearcy, Rodrick Covington, Cassondra James, Grasan Kingsberry, Tyler Hardwick, Loren Lott, T. Oliver Reid, Aurelia Williams, Emerson Davis and Mia Williamson.